Summer is an interesting concept in Hawaii. At least for me, a recent transplant from the four seasons of weather in Colorado. 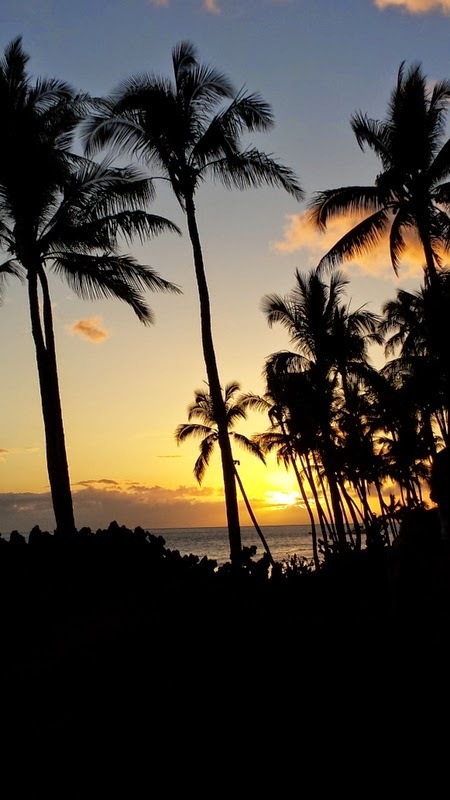 Maui is consistently summer-like all year round. I'm not in school, so I don't recognize summer break. In fact, I'm jealous of those who do. But it is in fact, the season of summer, so I feel like I must grill. First, I needed a grill. And what idea, specifically, got me to go grill shopping? A picture of bacon wrapped corn, that's what! Now, with my grill, I can also grill chicken. Pizza. Banana Boats. Burgers. The list goes on and on. I hit up Home Depot and got myself a small, table-top Brinkmann gas grill. After some minor assembly with a screwdriver (which is a good thing, since my tool collection doesn't go much further), I was in business. With bacon corn, go with your instincts. Take a piece of bacon. 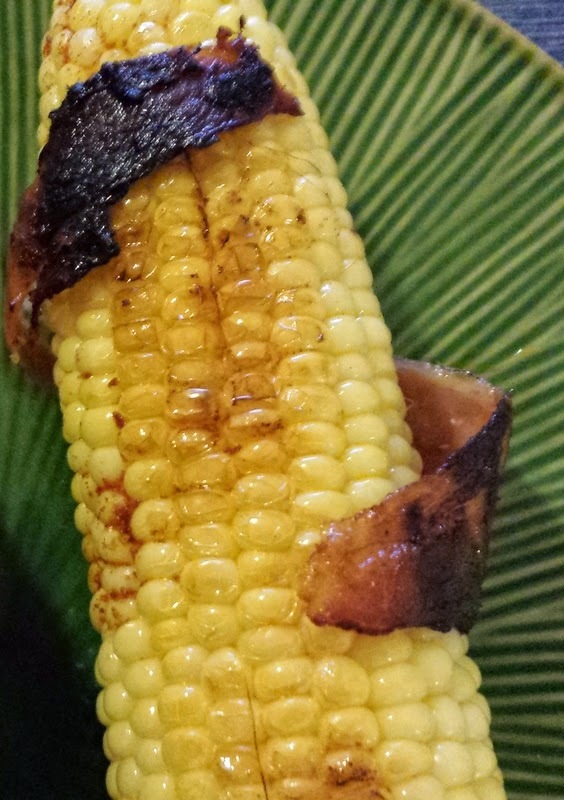 Wrap it around an ear of corn. Sprinkle with the seasoning of your choice...I used smoked paprika. Wrap the ear in foil and put it on the grill. 20-25 minutes turning it over once. After doing this, I'm convinced that for my next ear of corn, I'll need two pieces of bacon. Because bacon shrinks as it cooks. You want all of your corn to have that "bacon hugged" feeling. No sad ears of corn that only feel half-dressed in bacon.